Anders Åslund, senior fellow of the Institute since 2006, had served as the director of the Russian and Eurasian Program at the Carnegie Endowment for International Peace since 2003 and as codirector of the Carnegie Moscow Center’s project on Economies of the Post-Soviet States. He joined the Carnegie Endowment as a senior associate in October 1994. He is also an adjunct professor at Georgetown University. He is examining the transformation of formerly socialist economies to market-based economies. While the central areas of his studies are Russia and Ukraine, he also focuses on the broader implications of economic transition. Åslund has served as an economic adviser to the governments of Russia and Ukraine and to President Askar Akaev of Kyrgyzstan. He was a professor at the Stockholm School of Economics and director of the Stockholm Institute of East European Economics. He has worked as a Swedish diplomat in Kuwait, Poland, Switzerland and Russia. He is a member of the Russian Academy of Natural Sciences and an honorary professor of the Kyrgyz National University. He is co-chairman of the Economics Education and Research Consortium and chairman of the Advisory Council of the Center for Social and Economic Research (CASE), Warsaw. He is the author of Building Capitalism: The Transformation of the Former Soviet Bloc (Cambridge University Press, 2001), How Russia Became a Market Economy (Brookings, 1995), Gorbachev’s Struggle for Economic Reform, 2d ed. (Cornell University Press, 1991), and Private Enterprise in Eastern Europe: The Non-Agricultural Private Sector in Poland and the GDR, 1945–83 (Macmillan, 1985) and editor or coeditor of several books, including Revolution in Orange: The Origins of Ukraine’s Democratic Breakthrough (Carnegie Endowment for International Peace, 2006). Chairman of the Board JSC “Atoll Holding”, head of the supervisory board of JSC «Eurocar». Date of birth: October 20, 1971; Place of birth: Kiev, Ukraine. Education: higher, European University of Finance, Informational Systems, Management and Business, Major: Organizations Management. In 1995 Mr. Boiaryn has organized and became a head of his own enterprise “Autotrading” Ltd. In 1997 the closed JSC «SP Autotrading» has been formed, and Oleg Boiaryn has taken a position of the Deputy Head of the Board. The main trends of the activities of this company were import and sales of automobiles “VAS”, “GAZ”, “KIA” and “Skoda” (the company has been acting on the basis of official dealership of the manufacturers’ of these automobiles). In 2001 CJSC «SP Autotrading» has been transformed into a group of companies. Oleg Boiaryn has become the General Director of CJSC “Eurocar”, which manufactures Volkswagen’s group cars. Project «Eurocar» is very important for the development of Transcarpathian region and the country as a whole. It allows to integrate Ukrainian automobile industry into Western European automobile producers, to realize the strategy of “national automobile”, to attract significant investments to Ukraine, to create new working places and to provide considerable transfers to country’s budget, to cooperate in discovery of modern new technologies in automobile industry, to develop related businesses manufacturing spare parts, and to reinvest the profit in development of manufacturing. In 1984 he graduated the Kent University, Ohio state. He has lectured on business and international affairs in universities. He is the author of number of articles. Myron Wasylyk has started his work in The PBN Company in 1997 as the Director of the Ukrainian market reforms educational programme. This programme was a national project of the Cabinet of Ministers of Ukraine and it was financed by the USA Agency on international development. In 1998 he has headed Kyiv office of The PBN Company where in the present days he coordinates the work of 16 professionals and a number of foreign consultants in Ukraine and Moldova. Myron Wasylyk coordinates work with clients, strategic planning, cooperation with governmental bodies, including Administration of the President, Cabinet of Ministers of Ukraine and Verhovna Rada of Ukraine. He takes an active part in the activity of a number of civic, non-profitable and nongovernmental organizations. Myron Wasylyk has been twice elected the Head of the Committee of Directors of the United States Chamber of Commerce in Ukraine. He is the representative of the Coalition on the Intellectual Rights Protection in Ukraine. He is a Member of the Supervisory Council of the “Eurasia” Fund in Ukraine and a Member of the Supervisory Council of the International Centre of Advanced Research. Prior to joining The PBN Company he has worked in the State Department and the Department of Domestic Resources of the USA, in the National Republic Committee, in such companies as Burson-Marsteller and Gavin Anderson & Company. The PBN Company is the leading international strategic communications firm specializing in Russia, Ukraine, other CIS countries and the Baltic States. It helps Western clients design and implement strategies to maximize their investments in the region. And, work with Russian, CIS and Baltic companies to expand their domestic market share and build their businesses into global enterprises. In the United States, Europe and the CIS, The PBN Company also works with companies, industries and business associations to advance their public policy objectives at the federal, regional and local levels (web-page: www.pbnco.com). Valeriy Heyets — Honored Man in Science and Technology of Ukraine (2002), Winner of Ukraine’s State Prize (2002), awarded III Class Order “For Public Service” (2004), Secretary Academician of the Economics Department in Ukrainian NAS. Valeriy Heyets is an outstanding economist, who has initiated and is developing a scientific school in macroeconomics (theory and models of economic forecasting) and finance (financial security, budget and debt policies, taxation and taxation-based encouragement of economic development). He has justified long-term strategy of Ukraine’s economic development, which coordinates and harmonizes target reference points of stable economic growth, increase in the quality of life, institutional reforms, innovative and investment-based economic modernization, structural and technological renewal and Ukraine’s integration, on that basis and on competitive principles, to the global economy. Valeriy Heyets provided a detailed determination of the contents of state policy as regards ways, sources and mechanisms of the provision of the innovative model of Ukraine’s economic development. He put forward a new concept of economic growth under the conditions of instability. Presently, Academician Heyets’ scientific interests focus on the solution of the problem of the interaction between society, state and business regarding creation of efficient mechanisms of their influence on further capitalization of Ukraine’s economy and provision of its self-sufficiency as a subject of international activities. Dr. Gleba has over 30 years of research and management experience in plant genetics and biotechnology. (M. Sc., Kiev University, 1971; Ph.D., Institute of Botany, Academy of Sciences of Ukraine; D.Sc., Leningrad University, 1980). Dr. Gleba’s pioneering research in plant cell biology, genetics and physiology were published in more than 200 research papers, books and over 30 patents, and has earned the respect of the international scientific community as is evidenced by his election to the World Academy of Arts and Science (Rome), the European Academy (Academia Europaea, London), the German Academy Leopoldina (Halle), the Ukrainian Academy of Sciences (Kiev), the Lithuanian Academy of Science (Vilnius) and the Bavarian Academy of Sciences (Munich). In recognition of his outstanding scientific contributions, he also received numerous international and national awards and prizes, including Koerber Prize (Hamburg), A. von Humboldt Prize (Bonn), USSR State Prize (former Stalin Prize, Moscow), State Prize of Ukraine (Kiev), etc. He founded the Institute of Cell Biology and Genetic Engineering, Ukrainian Academy of Sciences, Kiev, Ukraine, in 1989, and is still serving as its Director. Dr. Gleba joined American Cyanamid Company, Princeton, NJ in 1992, where he developed research efforts in plant biotechnology and genomics and crop engineering, first as a group leader/manager, and, since 1997, as a Director of the Crop Engineering Department. Dr. Gleba left American Cyanamid/American Home Products in 1999. In 1999, Dr. Gleba co-founded Icon Genetics AG, Munich, Germany, a plant biotechnology company, and is serving as its first CEO. Earlier, he also co-founded another company, Phytomedics, USA. Dr. Gleba actively managed or supervised many international foundations: UNESCO Plant Biotechnology Program (Paris), International Soros Foundation (New York-Moscow), International Soros Science Education Program (Washington-Moscow), Renaissance Foundation (Kyiv), INTAS (Brussels), EPSO (Brussels), etc. Birth date: March, 18th, 1971. Place: Lviv. Formation: in 1993 graduated from Kiev institute of international relations, Kyiv State Taras Shevchenko University, faculty of the international economic relations. 1993-1995 – employee in a number of commercial banks of Kiev. Since 2001 – a member of Council of the National Bank of Ukraine. 2002-06 – the People’s Deputy of Ukraine of IV convocation (self-promotion), a member of Committee on Budget. 2006-07 – the People’s Deputy of Ukraine of V convocation (Party of regions), a member of Committee on Finance and Banking. From 11.2007 – the People’s Deputy of Ukraine of VІ convocation (Party of regions), a member of Committee on Finance and Banking. Date of birth: September, 25th, 1957. Place: Lughanka, Odessa region. Formation: Odessa Institute of Technology for Refrigerating Industry (1974-1979), mechanical engineer, Ukrainian Agricultural Academy (1981-1985), mechanical engineer. 1979-1982 – process engineer – deputy head on material support of the Rozdilnjansky regional production association of technological maintenance of agriculture of the Odessa area. 1982-1991 – supervising posts in regional and regional committees of LKSMU and CPU. 1992-1994 – general director, association “Odessa-Impeks”. 1994-1998 – head of secretariat, Odessa Regional Council – 1 deputy head, Odessa State Regional Administration. 1998-1999 – the People’s Deputy of Ukraine ІІІ convocation, a member of Committee on Social Policy and Labor. 1999-2002 – deputy, the chairman, Odessa Regional Council. 1998-2005 – head , Odessa State Regional Administration. 2005-2007 – department director, Trading house “Grain harbor». Since 11.2007 – the People’s Deputy of Ukraine, “Block Litvina”, the first vice-president of Committee on National Safety and Defense. Mr. Hrynevetsky has awarded by a number of awards and the state differences. Michael Zgurovsky was born on January 30, 1950.Doctor of technical sciences, academician of National Academy of Sciences of Ukraine and Academy of Pedagogical Sciences of Ukraine. Twice awarded the State Prize of Ukraine in the field of science and engineering (1990, 1999), awarded the Glushkov Prize of National Academy of Sciences of Ukraine (1996), and awarded the title of Honorary scientist of Ukraine (2000). Member of the Board on Science and Scientific-Technical Policy at President of Ukraine, Head of the Association of Rectors of Technical Universities of Ukraine, Co-Head of the Ukrainian Union of Scientists and Engineers. Since 1992 Michael Zgurovsky is Rector of National Technical University of Ukraine “Kiev Polytechnic Institute”. During 1994-1999 M. Zgurovsky was Minister of Education of Ukraine and took an active part in working out a number of laws on education, establishing and developing State accreditation commission, made a considerable contribution to reforming the system of education meeting the new requirements. Since 1998 M. Zgurovsky is Director of the Institute for Applied System Analysis of National Academy of Sciences of Ukraine and Ministry of Education and Science of Ukraine. He is a well-known scientist in the field of mathematics and cybernetics. His scientific interests and research embrace methodology of system analysis, the theory of decision making under uncertainty conditions, analysis and modelling of complex systems of various natures. M. Zgurovsky has worked out theoretical fundamentals of system analysis for research of complex physical systems functioning on many temporal scales. To solve the problems of quantitative analysis of complex physical systems in real time to which belong modelling, parameters identification, observations forecast and optimization, the theory of multi-scale expansion of solutions of singular disturbance systems of evolution operator equations has been worked out. He has developed the theory and system methodology of technological foresight as an instrument of innovation development. M. Zgurovsky is the author of more that 300 scientific works, including 22 books which were published in different countries, he has made 25 inventions. M. Zgurovsky is a member of Academies of sciences of many countries, Senior Member of IEEE, Member of the Governing Board of UNESCO Institute for Information Technologies in Education (Moscow, Russia), the National Representative of Ukraine in Committee on Data for Science and Technology (Paris, France), Member of Earth Data Network for Education and Science (Strasbourg, France). Social and public activities of Professor Zgurovsky are connected with development of the national system of education, science and sport. The publications of M. Zgurovsky are devoted to imperative problems of education, the role of scientists and engineers in society, social development of the country. He was born in 1958 in Kyiv. Received higher education, in 1980 graduated Kyiv National University named after T.G. Shevchenko (specialty — specialist in international economy), in 1986 graduated Kyiv National Economy Institute named after D.S. Korotchenko (specialty — economist). In 1980—1987 — economist of central accounts department, manager assistant, chief economist of Ukrbureau of USSR State bank. In 1988—1992 served as deputy head of department of Ukrzhitlosotsbank, deputy head of department of Ukrzovnisheconombank. In 1992—1997 he was the deputy Chairman of the Board of the State Export-Import bank of Ukraine. In 1997—1998 — the president of the “Ukrainian Fund of Development”. In 1998—2002 he hold the office of the deputy head of the State Committee on Enterprises Development of Ukraine, head of supervisory board of JSC “Bank of regional development”. In March 2002 Viktor Kapustin was elected the national deputy of Ukraine of the IV convocation within the multi-party electoral district (electoral block of Viktor Yushchenko “Nasha Ukraina”, #24 in the electoral roll). He held the office of the first Deputy Head of Verhovna Rada of Ukraine Committee on financial and banking activity. In March 2005 Viktor Kapustin was appointed the Chairman of the Board of “Ukreximbank”. Ukreximbank is one of the largest banking institutions in Ukraine that maintains close relations with more than 700 banks of the world and best-known international financial organizations. Ukreximbank continues developing into a modern European bank oriented primarily at servicing foreign economic operations of the state. Being the only active financial agent of the Cabinet of Ministers of Ukraine for many years, Ukreximbank provides professional servicing of current internal and external crediting agreements against guarantee of the Government. According to its strategy, the bank supports development of Ukraine’s economic potential, enhancement of its competitiveness and participation in international integration processes. The bank’s clients are: Cabinet of Ministers of Ukraine, Ministry of Finance of Ukraine, Administration of the President of Ukraine, State Treasury, Ministry of Foreign Affairs of Ukraine, embassies and diplomatic representations, the largest metal works, oil and chemical, machine-building, wood-processing, transport and communications companies, as well as thousands of individual clients (web-page: www.eximb.com). Birth date: June, 28th, 1974. Place: Ivano-Frankivsk. 1996-97 – assistant-adviser to the People’s Deputy of Ukraine. 1997-2002 assistant to the Chairman, head of secretariat of the Central Election Commission of Ukraine. 2004-2006 – a member of the Central Election Commission. 2006 – the People’s Deputy of Ukraine of V convocation, block «Our Ukraine», the secretary of Committee on Judical Policy. Since 11.2007 – the People’s Deputy of Ukraine of VІ convocation, the block «Our Ukraine – National self-defense», a member of Committee on Judical Policy. Dr. Kniazevich is the deserved lawyer of Ukraine, he also has a number of state awards. Education: higher technical (Kyiv Polytechnic Institute) and higher legal (Shevchenko Kyiv National University). Andriy Kolodyuk started his career in the USA (1992-1995), working at the U.S. consulting and trading companies. Then, in 1994 Andriy Kolodyuk acted as a co-founder of the company “Ukrinvestcom”, that financed the first project “Unitrade” and in 1994-2000 – series of other projects. In 2001 he reorganized “Ukrinvestcom” and became the President of the renewed venture capital company “AVentures”. In 2001 Andriy Kolodyuk started his public activities as the co-founder and the president of the Foundation “Information Society of Ukraine”. Starting from 2002 – the leading expert of the Foundation. He is the author of number of researches concerning information society. Starting from 2003 Andriy Kolodyuk has been the head of the Task Force “E-Ukraine”, that is working at the project “The national strategy of development of the information society of Ukraine”. University degree in Molecular Physics (1968). Corresponding Member of the Ukrainian (1985) and Russian (1987) Academies of Sciences. Member of Academia Europaea (1990). Full Member of the National Academy of Ukraine (1997). Research Fellow, Department of Biophysics and Physiology, Bogomoletz Institute of Physiology, Kyiv, 1968 – 1970. Junior Scientist, Department of General Physiology of Nervous System, Bogomoletz Institute of Physiology, Kyiv, 1970 – 1975. Senior Scientist of the above-mentioned department, 1975 – 1982. Head of the Department of Cellular Membranology, 1982 – up to date. University of Pennsylvania, USA, 1994. State Prize of the USSR for Science, 1983. In 1971 she graduated the Kyiv University of the National Economy named after D.Korotchenko; defended her candidate thesis in 1977 and her doctor’s thesis in 1992. Was appropriated a title of a professor in the specialization of «Demographics, economics of labour, social economics and politics» in the year 2000. During 1996 and 1997 she worked as an expert of the Higher Attestation Commission of Ukraine. In 2002 she was elected as a member-correspondent of NAS Ukraine in the specialization of «economics of labour». Ella Libanova was elected into members of the International Association of Demographers. She is an author of more than 200 scientific publications. Ella Libanova is a member of the section of social and economic sciences in the Committee of government awardss in the area of science and mechanics; member of the Coordination Center of the pension reform; member of the editorial boards of such popular journals as «Ukraine: aspects of labour», «Economic forecasts», «Ukrainian statistics», «The Individual and Politics» and «Social Safeguard»; member of methodical-scientific Councils of the Ministry of work and social politics of Ukraine and the Government Committee for Statistics. Education: a Master’s degree in Economics from Lviv State University, Ukraine, a certificate in technological entrepreneurship from Rensselaer Polytechnic Institute, Troy, NY, USA. In 2004 Serhiy Loboyko founded venture capital firm TECHINVEST, that spesializes in managing venture investment capital and creating international technological firms, based on the Ukrainian innovations and engeneering talents. The firm became a partner of the global chain of the international venture capital company «Draper Fisher Jurvetson». Serhiy Loboyko is the member of the Board of Directors of the companies «United Software Corporation», nanotechnological company «APowerCap Technologies», founded by TECHINVEST. In 2004-2006 Serhiy Loboyko initiated the first international research of Ukrainian export-oriented IT-industry, organised international expert group, that involved the representatives of the leading technological and venture capital companies, and established Ukrainian contest of high technology. In addition, TECHINVEST acted as a co-organizer of the conference of the representatives of the international venture capital business and technological companies from the former USSR countries «Silicon Valley Open Doors». Befor starting his business activities Serhiy Loboyko worked as an advisor to the Glushkov Cyber Center Institute in Kyiv, a division of the National Academy of Science of Ukraine (NASU), to the local offices of UNDP and Soros’ Foundation, the Ministry of Economy of Ukraine, the World Bank, BARENTS Group (KPMG), bank “Credit Suisse Fist Boston”, the National Institute of Strategic Studies, Secretariat of the Parliament of Ukraine. Mikitin Yaroslav was born on October 22, 1943 in Dorogychivka village in Ternopil region. He began his working experience as a worker at Letyachiv consumers’ co-operative in Dorogychivka village. In 1963 he entered the Lviv Polytechnical Institute and in 1966 was moved up into Kishinev Polytechnical Institute. In 1968 having graduated Kishinev Polytechnical Institute he worked as an industrial engineer at Kharkiv electromechanical plant, then as a chief engineer at Kakhovka trust of state farms in Kherson region. Since 1973 he works at “Kakhovka plant of electric welding equipment”. Since 1996 and up to the present time he is a chairman of OJSC “Kakhovka plant of electric welding equipment”. In 1991 he became a member of the Academy of Engineering Sciences of Ukraine and in 1995 a member of American Business Academy. In 1995 he was given a honorary title of “Honored Mechanician of Ukraine”. In 1999 and 2003 he was awarded with Diploma by the Cabinet of Ministers and with Diploma by the Verhovna Rada of Ukraine. In 2004 by the Decree of the President of Ukraine he was given the honorary rank “The Hero of Ukraine” and was presented with “Gold Star” and “State Order”. Yuri Miroshnikov was born on November 1, 1963. Kiev Civil Aviation Institute (University) — diploma with distinction “Aviation Power Engineer” (1986); Kiev International University of Civil Aviation — diploma “Overseas representative of Civil Aviation of Ukraine” (1995); International Air Transport Association (IATA) Training and Development Institute — diploma with distinction “Airline Management” (1999). Yuri Miroshnikov is a holder of the Cabinet of Ministers’ “Diploma of Honor” for the significant input in the development and promotion of the international tourist relations of Ukraine (October, 2001). He was awarded “Honorable Employee of Ukrainian Civil Aviation” (September 2003). Sergii Mishchenko was born on May, the 21th, 1956. Birthplace: Mizoch, Rivnenska region. Education: 1973-78 – student of the Faculty of international affairs Taras Shevchenko National University, Kiev, magister, international economics. 1982-85 – Post-graduate student at the Institute of Economics, Ukrainian Academy of Sciences. 1987 – defended a Ph.D. Thesis on the subject «World commerce statistics of agricultural products and food trade» and received Ph.D degree in economic science. 1978-80 – interpreter of Counsellor of USSR Embassy in Democratic Republic of Yemen. 1985-1986 – associate scientist in the USSR Board of productive forces, Ukrainian Academy of Sciences. From 1990 Sergii Mishchenko was general manager of ILTA Ltd – official importer of Peugeot in Ukraine. In 2003 became a Chairman of ILTA Ltd. Ph.O., economics. President of Ukrainian national fencing federation. Member of National Olympic Committee. In 2004 was awarded Order «For services» 3th degree. Author of 20 scientific publications in the field of international statistics, world commerce and scientific and technical potential development. Sergiy Oksanych is one of the pioneers and founders of the Ukrainian fund market, the founder and the unchangeable director of an open joint-stock company «Kinto». He is also one of the core establishers of the first major professional associations in the Ukrainian fund market – the Association of Securities Traders (1992) and the Ukrainian Association of Investment Businesses (1995); which he stood at the head of for more than ten years. Sergiy Oksanych took part in work groups, created by the Parliament, the Cabinet of Ministers, the Ministry of Economics of Ukraine and other governmental bodies, during the creation of important legislation and normative documents that were designed to govern the Ukrainian fund market. The result of this work includes the investment funds and investment companies acts (1994), Concepts of formation and development of the fund market of Ukraine (1995), Programs of development of the fund market of Ukraine for the years 2001-2005 (2000). He also took part in the development of legislation about joint-stock companies (2002) and non-governmental pension funds (2003). Currently, Oksanych is a member of an Expert-Consulting council of a Government Commission for securities and the funds market. Furthermore, he is a candidate of economics (1985) and an author and co-author of three monographs and more than 20 published workings on the subject of economics. Created in 1992, the company «Kinto» is the most experienced participant and a known leader of the Ukrainian fund market, as well as an active member of its creation and development. Currently, «Kinto’s» activities are aimed at managing the actives of investment funds and non-governmental pension funds. The company offers its clients competence, experience and the expertise of a highly qualified team of professionals and also a wide spectrum of investment strategies and professional services. Chairman of the Board of Directors of JSC “Novokramatorsky Mashinostroitelny Zavod” (NKMZ). 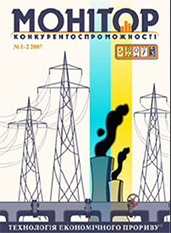 Victor Pankov’s labour activity is closely related to NKMZ. Having graduated from the high school, he started working as a Foreman Assistant on the plant in 1969. In 1976 after working as a Foreman, Workshop Deputy Chief, Workshop Chief he became a Head of Planning-and-Economic Department. Since 1994 he has acted as a Deputy Chairman of the Board, Deputy General Director of NKMZ. In 2002 Mr. Pankov took his present position. Mr. Pankov headed the development of economic strategy of the company and mechanism for its realization under conditions of market transformations. He influenced greatly on the development and introduction of corporate culture, programmes for continuous improvement (bioengineering), personnel development, establishment of intellectual potential and expertise control at the enterprise as the basis of its dynamic transformation to the competitive exclusive enterprise of the world level. Doctor of Economics, Professor of Management faculty and Honorary Doctor of “Donbass State Engineering Academy”, Vice-rector of the plant branch of DSEA, the head of the faculty branch “International Economics” of Donetsk National University at NKMZ, Honoured Economist of Ukraine, Member of the Academy of Economic Sciences of Ukraine and the International Economic Academy of Eurasia, Member of the International Union of Economists, the Scientific Adviser of Donetsk branch of the National Institute for Strategic Researches under the President of Ukraine. He has over 120 scientific papers. He is rewarded with government awards. National Academy of the State Tax Service of Ukraine (2002-2006), bachelor. He was born on the 28 of April 1958 in Donetsk city, Rostovska oblast. In 1982 graduated Moscow electronic engineering institute, specialty — “microprocessor-based systems”. After he had graduated the institute he was involved in the development of logical analyzer and microprocessor systems at the research institute of exact technology in Zelenograd. Then he started working in the “Micropribor” research institute at scientific-production association “Krystal” in Kyiv where in 1986 he became manager of laboratory and then—chief designer. In 2000 he also pursued studies AMP (advanced management program) in INSEAD management school (France). In November 1990 he founded Kvazar-Micro. He was CEO and the chairman of «Kvazar-Micro» till the March, 2006, when he was appointed the general director of Sitronics concern. In 1997 he was prized “Prometey-prestige” and was the recipient of the “Businessman of the Year” award within the national programme “Man of the Year” (“Lyudyna Roku”). In 1998-2000 Evgen Utkin served as the Chairman of the Council of Entrepreneurs. Evgen Utkin is the President of Ukrainian Association of Software Developers (1999) and the founder of the Ukrainian Union of Intellectual Property (2000). “Kvazar-Micro” (established in 1990) is international corporation, leading supplier of solutions and services in the sphere of information-telecommunications technologies in Eastern and Central Europe. The Company provides the complex support of the information systems, service of the state structures, represents the interests of the high-tech industry on the level of the powerful international institutions. Today the corporation provides its activities in 12 countries of the world. Annually more than 3000 companies in Russia, Ukraine, Moldova, Byelorussia, Kazakhstan, Serbia and Montenegro, Croatia, Hungary, Czech Republic and other countries become the clients of Kvazar-Micro. Kvazar-Micro is the leading player in the market of the IT and business-consulting. The Company leadership is stipulated by both the availability of the significant number of professional consultants (more than 100) and huge portfolio of the implemented solutions including the range of the biggest consulting projects in the post-Soviet area (web-page: www.kvazar-micro.com). Ronald Freeman is a member of the board and advisory partner of Troika Dialog, (Moscow), a member of the supervisory board and audit committee of Pliva, (Zagreb), a senior advisor to the Doughty Hanson (London.) $750 million international real estate fund, an international advisor to Unicredito (Milano), a member of the Development Committee of Mansfield College, Oxford, a trustee of Lehigh University and of the American University of Paris and chairman of the finance committee of the UK-US Fulbright Commission (London). He was head of the Banking Department of the European Bank for Reconstruction and Development for the seven years following its inception in 1991 until 1997 with responsibility for $2 billion per year of mainly private financing in the twenty three countries of the former Soviet Union. In 1997, He received the Orden Dostyk (Order of Friendship) from the president of Kazakhstan for his service to that country. He practiced law with Baker & McKenzie in Paris and served as a management consultant in the Paris, London and Amsterdam offices of McKinsey & Company. From 1973 to 1991 and again from 1997 to 2000, he was an investment banker a General Partner, co-head of mergers and acquisitions, of investment banking and head of international investment banking with Salomon Brothers, now a unit of Citigroup. He has a B.A from Lehigh University and an LL.B. from Columbia Law School, where he is now a member of the international advisory committee. He was admitted to the Bar of the State of New York. He and his family are London residents with dual UK and US nationality. Director of the Program on Science, Technology, America and the Global Economy (STAGE) at the Woodrow Wilson International Center for Scholars. Prior to joining the Center, Dr. Hughes served as the Associate Deputy Secretary at the U.S. Department of Commerce, where he defined and implemented a long-term competitiveness strategy emphasizing the close links between trade, technology and training. Before joining the Clinton Administration, Dr. Hughes served as President of the Council on Competitiveness, an action-oriented leadership organization composed of chief executives from America’s business, labor and academic communities. Under Dr. Hughes’ leadership, the Council took the lead in putting technology policy on the national agenda. Previously, Dr. Hughes held a number of senior positions with the U.S. Congress, where he focused on international economic issues and the issue of long-term American economic strength. Among other positions, Dr. Hughes served as the Chief Economist to the U.S. Senate Majority Leader Robert Byrd, Senior Economist of the Congressional Joint Economic Committee and Legislative and Policy Director in the office of U.S. Senator Gary Hart during the Senator’s first presidential campaign. Prior to his congressional service, Dr. Hughes served as a staff attorney for the Urban Law Institute, a poverty law firm established to provide counsel to national and local groups. He was also an International Legal Center fellow and Latin American Teaching fellow in Brazil where he worked on a reform of Brazilian legal education. Dr. Hughes holds a Ph.D. in economics from Washington University, a LL.B. from Harvard Law School and a B.A in Political and Economic Institutions from Yale University. He is a member of the D.C. Bar, American Bar Association and the American Economic Association. Dynamic professional activity in the field of quality, ecology, safety management at branch and corporate levels is linked also with creation and ruling of several domestic and international engineering and consulting companies. Main direction of their activity is oriented to delivering technical-expertise services for improvement of efficiency and competitiveness of separate companies and holdings. Before joining international group BUREAU VERITAS kept a positions of managing director of international scientific-technical center for quality and certification CEPROS as affiliated company to E.O. Paton Electric Welding Institute of National Academy of Sciences of Ukraine and head of scientific-research department of the same institute. Scientific and professional interests of Dr. Yakubovsky embrace areas of strength and reliability of materials and structures, optimisation of production and other business processes, branch, specialised and corporate management systems, quality assurance and competitiveness increase. In these directions published 2 monographs, more than 80 articles, more than 40 reports at different domestic and international congresses, conferences, symposiums and seminars, doctor of technical sciences since 1992. Ms. Jaresko received her Masters Degree in Public Policy from the Harvard University Kennedy School of Government in 1989 and a Bachelor of Science Degree in Accounting from DePaul University in Chicago, Illinois in 1987. She is a registered CPA. Ms. Jaresko served in various economic positions at the State Department in Washington, D.C. From 1992 to 1995, she served as the first Chief of the Economic Section of the U.S. Embassy in Ukraine where she negotiated key treaties and agreements establishing the framework for U.S. Ukraine bilateral economic cooperation. She has worked in Ukraine since 1992. From 1995 to 1997, Ms. Jaresko was Country Manager Ukraine and Investment Officer with WNISEF. Ms. Jaresko was Chief Investment Officer and Executive Vice President of WNISEF from 1997 through 2001. During her tenure, she successfully built a $63 million portfolio that included nineteen companies in the region. In addition, she oversaw the attraction of third party validations and the implementation of results-oriented monitoring policies and procedures. The Board of Directors of the Western NIS Enterprise Fund (WNISEF) named Natalie A. Jaresko its President and Chief Executive Officer (CEO) in February 2001. She is responsible for managing WNISEF’s strategic development, setting WNISEF’s long-term business goals, and attracting capital to expand business opportunities. Western NIS Enterprise Fund Fund is the region’s leading private equity fund that invests in small- and medium-sized enterprises in Ukraine and Moldova. WNISEF seeks to identify and invest in securities of private enterprises with outstanding growth potential and the ability to build competitive advantages in the market. WNISEF provides its portfolio companies with capital and necessary management tools to evolve from entrepreneurial ventures into professionally managed companies. Since inception, the cumulative investment commitment of WNISEF totals USD 97.8 million to 28 companies in Ukraine and Moldova, employing over 18,000 people (web-page: www.wnisef.org). In 1966 received his PhD, Astrometry and Celestial Mechanics, Moscow University, in 1976 — ScD, Astrometry and Celestial Mechanics, Moscow University. During 1960—1961 worked as an engineer at Poltava Gravimetric Observatory. From 1962 to 1965 Yaroslav Yatskiv was a postgraduate of the Main Astronomical Observatory (MAO), Kiev. In 1965—1969 worked as a staff Astronomer at MAO. In 1969 he became a Depute Director of MAO. Since 1975 he has hold the office of the Director of MAO. Since 1979 he has headed the Space Geodynamics Department of MAO. Yaroslav Yatskiv is a member of a number of scientific organizations, among them: the National Academy of Sciences of Ukraine (since 1979) and the Astronomische Geselschaft (since 1984). In 1982 — 1985 he was the President of IAU Com. 19 “Rotation of the Earth”. In 1982 — 1988 — Vice-President of IAU; in 1984 — 1986 — Member of Interagency Consulting Group; in 1988—1991 — Secretary of Section 5 of IAG, in 1992 — 1995 — Chairman of IERS Directing Board. Since 1996 he is the Chairman of State Committee for united time and standard frequencies of Ukraine. Yaroslav Yatskiv has also been the Chairman of Ukrainian International Committee for Promotion of Science and Culture since 1990 and the President of the Ukrainian Astronomical Association since 1991.